eGundo.com’s mission is to explore the good in Gundo and a big part of the good in Gundo is the people that live here. We recently had the opportunity to talk with Alex Abad from Tower 60 to learn more about who he is and why he’s a shining example of the good in Gundo. 1. Can you give us an overview of your journey in life? Born in Rosario, Argentina, migrated to the U.S. in 1968 at the age of 10 with parents and an older brother for the opportunity to break the chains of poverty. Have been a resident of the south bay ever since our arrival. We grew up poor, with the vary bare minimums, sometimes my mother would need to sell her shoes just to put food on the table. America was the land of opportunity and I was taught at an early age America was the place to create the change I wanted for myself. I’ve been creating change ever since. El Segundo became our home 29 years ago because we felt it was a great place to raise our kids. I get great pleasure and satisfaction of being able to take care of my family, help others and give back to those less fortunate. 2. Can you give us a brief overview of your work history? I went into business for myself right out of high school with my best friend. We started a small lumber business up North which lasted several years. Eventually, I moved back to the south bay and went to work for Hughes Aircraft. I worked for Hughes until 1990 when the entire aerospace industry was affected and thousands ended up losing their jobs here in the south bay. From there, I did some consulting work for the air force which lasted just over a year. Due to the weak economy, I ended up taking several odd jobs just to stay afloat. Eventually, my wife and I decided to start a small house cleaning business. That business grew rapidly into a very large and diverse company. That company eventually ended up providing the janitorial service for most of the City of El Segundo, Little Company of Mary, Skechers, Guess, Gramercy Pictures, Virgin Records, FBI, Harbor UCLA Medical and many others just to name a few. After 20 successful years in business and with several hundred employees on the payroll, in 2004 we decided to sell 80% of the company. Today, my wife Dorreen continues to operate a small portion of that company which provides janitorial services to many medical facilities. Real Estate was something I always wanted to pursue but was unable due to the workload from the previous company. Now that I had the opportunity, I took charge to make that happen. In 2005 I got my R.E. license and went to work for South Bay Brokers in MB. The years of experience in providing a very high level of service, work ethic, and business development experience allowed me the success I enjoy today. 3. Can you tell us more about Tower 60 and your company’s mission? Alex Abad Hard at Work! Tower 60 is the El Segundo Beach lifeguard tower. The popularity and desirability of Tower 60 as an ES local icon is a remarkable phenomenon. I started surfing at the age of 11 at the MB pier and have been a waterman ever since. The surfing and the beach lifestyle runs in my DNA, surfing is that 3rd molecule I need in order to breath. I always felt ES was a coastal beach town but the beach was never made one of its highlights. I believe the community has embraced this logo because most of us love to be associated with the beach, the ocean and the coolness associated with that lifestyle. Tower 60 has become synonymous with the coastal and beach lifestyle for ES. For us as a company and even more important, as individuals our mission is to be recognized as ones who provide the highest level of expertise, service, care, and representation. We work to exceed expectations not driven by a commission. We are leaders in every aspect of this business, we strive to set standards by which others will follow, often imitated never duplicated. I challenge myself to do what I do better each and every day. 4. You’re a well-known supporter of The Ed Foundation – can you tell us more about your contributions and why you’re such a fan? I became a fan of the Ed Foundation when I understood the need for the Ed Foundation. Like many of us I truly did not understand why the school needed my money. I did not understand that donations funded the incredible educational programs we have from 1st grade through high school and did not realize that the salaries for those educators came from the donations of individuals within the community and from small to large corporations. Since the number one reason why families choose to move to ES is for the quality of Education, I decided long ago that I would support it with my time and my money on behalf of all the families I have the privilege in representing. It’s a win-win. 5. Can you share something about you that people might not know? The thing they may not know…I love speed, I am a pilot, raced motocross, did the Catalina Classic, participated in a world-class rodeo as the rider, was a ski instructor at Mountain High in the 70’s, Oh yeah, I was also a dance instructor. 6. 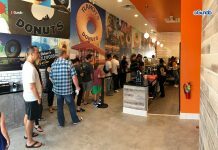 What does El Segundo look like 20 years from now? The demographics and the socio-economic map of the town have changed dramatically in the last 15 years and I believe it will continue to change in the next 20 years. One thing I’ve learned over the years is that nothing remains the same, change is inevitable, some is great and some not so great. Overall, I think the best is yet to come. 1. What do you love most about El Segundo? The people I’ve gotten to know, the lifestyle, the quality of education, it’s potential. 2. What’s your favorite food in Gundo? I patronize lots of restaurants, rather than one favorite food I will tell you where I go. 3. 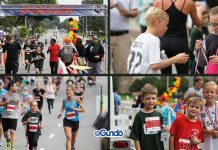 What’s your favorite event in Gundo? 4. Can you share an example of the “Good” in Gundo? I love to see the community giving back to the schools. I love our police and fire department. I love to see the business involvement for the community.